There are currently 4 users and 2304 guests online. left two rocks marina around 3.30 Sunday morning heading out wide. Was a bit slow heading out due to conditions & travelling in the dark, with a spotlight to dodge the cray pot floats. Found our spot in the 40's & started fishing right on day break. My cuz landed a very nice 65cm Baldie & a shark. 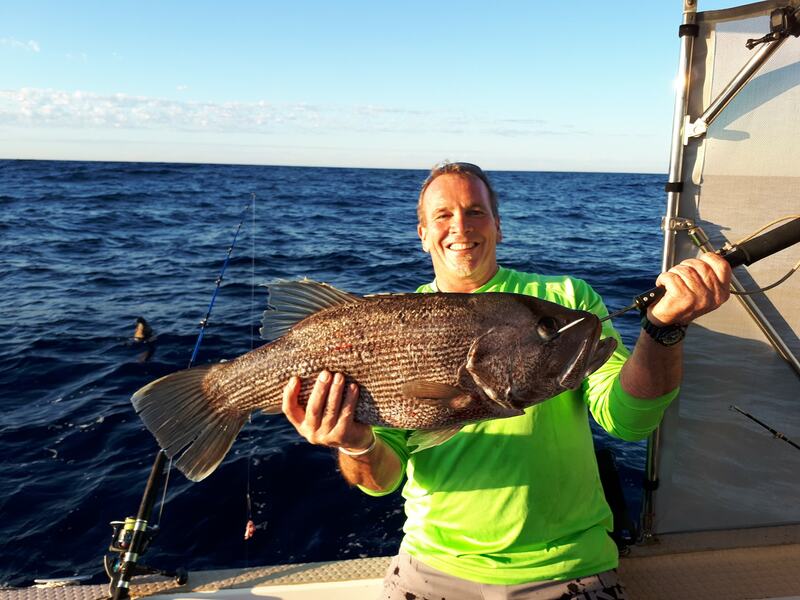 I managed my PB Dhu at 77cm also caught 3 more baldies between 40 & 50cm. Threw 4 more baldies back. well done sounds like a pretty successful day and a good feed of fillets too. for eating there wez and an awesome feeling i am sure after such a break!